I think I know what statistics professors feel like prepping for a semester of college. Statistics is one of those courses that’s required for many students, but it’s not the easiest topic to digest. We’re embarking on one such course that I think should be “required” for anyone considering entering into a real estate transaction in the state of Texas (or anywhere!) 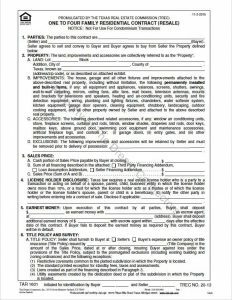 – understanding the Residential Real Estate Contract. DON’T GO! I realize that for a lot of people, this topic is about as dry as it can get. But this is a legally binding agreement, and not something you should sign your name on if you don’t understand exactly what it is you’re signing. 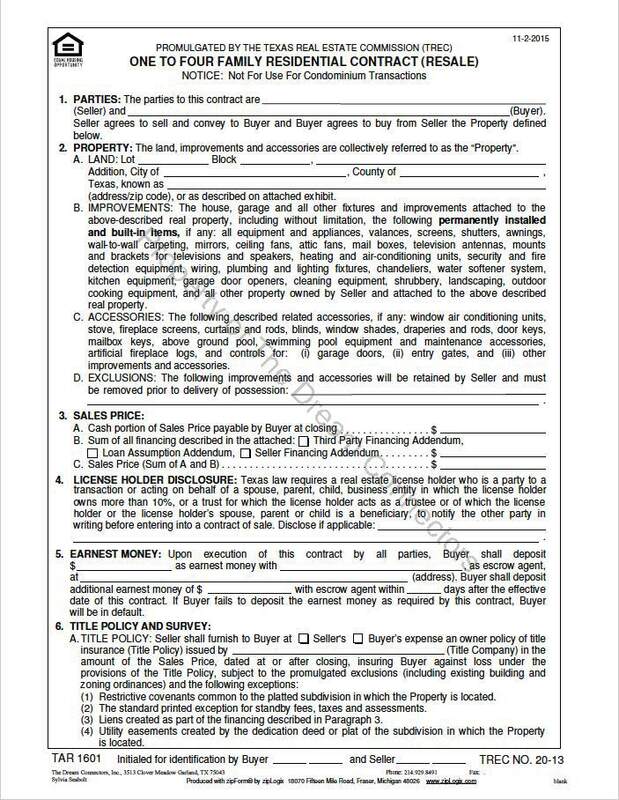 We’ll break it up into sections, and today, we’re starting with the very beginning, and the first three fields you’ll see in a typical residential real estate contract. The terms are likely familiar ones too! The buyers and sellers involved in the real estate transaction are identified as such in the contract, Buyer, and Seller. The property is typically identified by its legal description. In the state of Texas, most often the legal description for a property is by lot(s) and block(s) of a subdivision. For example, the current available Dream Connectors listing at 102 Yorkshire Drive in Heath would be completed in the contract as Lot 21, Block B, Stoneleigh Phase Three, Heath, Rockwall County, and the last field is for the mailing address: 102 Yorkshire Drive, Heath, TX 75032. The next three items under 2. are there to precisely define what items are included and/or excluded from the sale. Improvements are those items that are considered permanently installed and/or built in on the property, like carpeting, security systems, ceiling fans, and more. Accessories are those items not considered permanently installed but often make sense to include in the transfer of the property, like window treatments, fireplace screens, garage door openers, etc. The Exclusions portion of the property description is exactly that – any items that would typically fall in one of the above categories, but are excluded from the sale as agreed upon by the buyer and seller are listed in this section (when applicable). Look at that! We’ve reached the end of our first class already! Great job everyone, and thanks for hanging with me as Gale and I break down one of the most important contracts Texans will sign over the course of their lifetimes. Next time, we’ll review Sales Price and the all-important Earnest Money sections of residential real estate contracts.